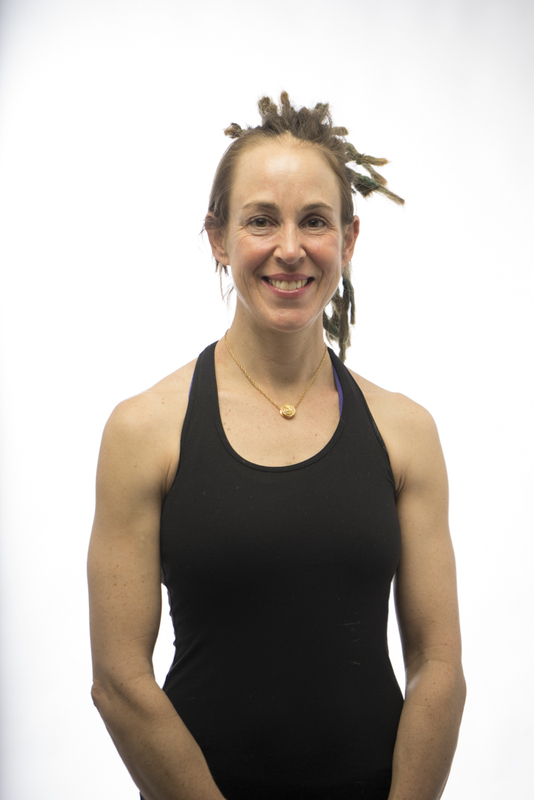 Jamie Lee is an ACE Certified "Group Exercise/ Mind Body Specialist" instructor who enjoys teaching mat Pilates, chair yoga, strength training, and circuit. In addition, she is a certified Prana Flow® / Vinyasa flow yoga (with Coral Brown), and a chair yoga instructor. Jamie is continuing her Pilates education on the Pilates apparatuses under the instruction of Jen McWalters. Jamie has a love for movement and aims to create classes in which you can "honor that which you truly need". My journey into the health and wellness field began over 10 years ago when I achieved a 160-lb weight loss goal. The positive impact this had on my life inspired me to help others in the same way. After graduating with a physical education degree from Norwich University, I gained a lot of work experience from physical education to collegiate strength and conditioning to coaching and work with the special olympics programs. I finally settled into personal training as I enjoy helping others make healthy lifestyle changes. My specialties include sports specific training, body re-composition, corrective exercise, strength and conditioning, weight management and motor skill development. Kim is a long-term breast cancer survivor who decided to take charge of her health when she finished her treatment. She is passionate about exercise as a way to maintain health, and brings that passion and enthusiasm to CORE. Kim is certified through ACE (American Council on Exercise) as a Group Fitness Instructor and as a Personal Trainer. She is also a certified Lifestyle Fitness Coach through DSW Fitness., and has CPR/AED certification. Kim takes great pride in helping her clients find their best selves. She lives in Swansea with her wife and 3 children, and enjoys racing in 5Ks or half marathons on the weekends. When time allows, she attends seminars and studies through correspondence courses to stay current in the fitness field. While a freshman at Brown University in 1998, Tracy turned to the world of fitness instruction after she outgrew the world of competitive high school sports. As an avid field hockey, basketball, and softball player, Tracy wanted her classes to be more athletic-driven and inspired by conditioning training that she had experienced in competitive sports. Over 10 years later, she is still teaching challenging group fitness classes that incorporate simple and athletic moves as well as adventurous spin classes. In addition to being certified by the American Council on Exercise, Tracy is also trained in willPower & grace®, Spinning®, Peak Pilates MVe®, IndoRow®, and Core’s signature barre class. Lilly is a tenured rider with 10 years of indoor and outdoor cycling experience under her belt and 10+ years of AED/FirstAid/CPR certification. Most recently, she's taught indoor cycling for several years at boutique studios in both Boston and Providence. In addition to teaching spin, she has taught Zumba, completed several half-marathons and triathlons, is a lead singer in a wedding band, and was a competitive dancer and swimmer in high school and college. Her classes are very music-driven where you'll be riding to the beat and leave with a smile on your face! A dynamic teacher, Justin brings over 12 years of experience and elite training in the classical style of Pilates elder, Ron Fletcher, to enhance our program at CORE. With years of experience and a gift for personal communication, he creates a multilevel physical experience that is safe, challenging and fun. He works with men and women of all skill levels, ages and physical conditions to improve function in daily life and athletic activities, reduce pain, and promote health and well-being. He was trained at the Ron Fletcher Comprehensive Program of Study in Tucson, Arizona, the most rigorous Pilates teacher training program in the country. Originally from San Antonio, Texas he grew up immersed in the Pilates Method, his mother is also a Pilates teacher. Justin holds a BFA from NYU's Tisch School of the Arts and an MFA from Brown University. He is an active athlete and uses the Pilates Method as he cross trains, lifts weights, and runs marathons. Justin has taught at studios in New York City, Boston, and Arizona. He enjoys working with all age groups and experience levels. He loves the Pilates work because he has seen the amazing results first-hand in his students.